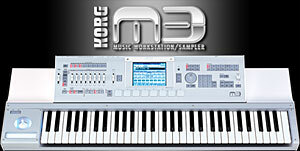 The following list contains all known community-contributed M3 combis posted on the Karma-Lab forums (and perhaps also the Korg forums?) as of October 22nd, 2008. If you make a new combi or set available to the M3 community on the forums, please send a PM (Private Message) to Stephen Kay who will update this table with the latest information. Note: some of these links will undoubtedly become invalid over time.